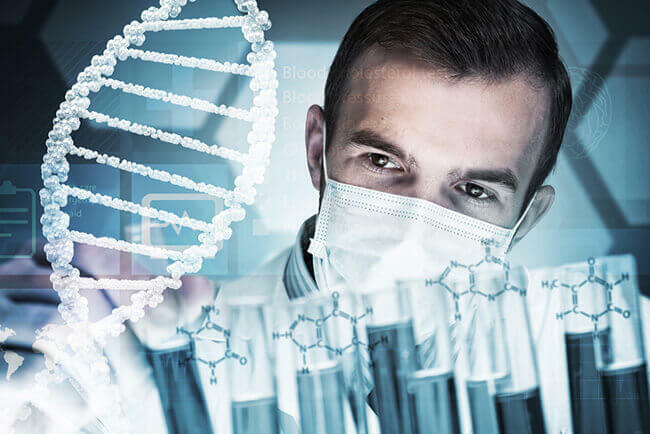 The best part about genetics is that it allows you to see yourself in a different light and discover insights unobtainable through any other testing methods. 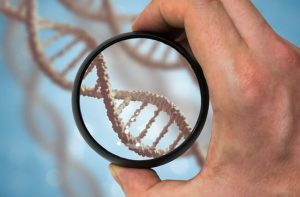 For the purpose of this article, we’ll investigate the blending potential of psychology and DNA testing in order to determine their combined reach when it comes to your personality. You can always cheat a theoretical personality test by answering the questions one way or the other, but you can never cheat your unique DNA signature. The idea that your personality hinges on genetics is still highly controversial, though, but once we accept the inevitable truth, we can begin exploring a whole new world of information and discover our true self on an atomic level. If you’re interested in learning how your genetics affect your personality, you should start by choosing a quality DNA testing provider. Orig3n – Among many other testing solutions, Orig3n also features one designed to establish a link between your DNA and the way you act, feel, and react to certain stimuli. With the Orig3n Behavior Test (79.00$), you’ll discover how your genetics impacts your tolerance to pain and stress, whether certain drugs make you more or less empathic, whether your genes increase your risk of addiction, and much more. Karmagenes – With Karmagenes, you can choose between 4 different options designed to determine your behavioral patterns based on your unique genetic prerequisites. You can start with a simple psychometric analysis (29.95 CHF; approx 30.32$) and work your way toward a complete behavioral analysis (484.00 CHF; approx. 201.45$). New Life Genetics – New Life Genetics offers the so-called Talent Test (208.49€; approx. 247$), which contains a psychological segment that defines the genetics of major proteins and neurotransmitters that impact your brain function (BDNF neurotrophins, dopamine, oxytocin, KIBRA protein…). Oxytocin affects your mood, personality, and social skills; KIBRA protein impacts your verbal communication but can also increase your predispositions for dyslexia and language difficulties; BDNF (brain-derived neurotrophic factor) influences your special orientation and memory; COMT gene is also explored to reveal your susceptibility to stress. The second part of the test is designed to identify the best sport to fit your genetic potential. Therefore, it’ll explore your muscles, energy metabolism, and motor talents and recommend the best exercise plans for your specific genetic makeup. New Life Genetics’ Talent Test is primarily designed to uncover your potential regarding different sports, but it can also tell you a lot about your personality. In order to fully grasp the contents of this article, we’ll first have to take a quick glance at behavioral genetics. The science uses numerous methods to pinpoint the origins and nature of behavioral differences between individuals. Contrary to popular belief, its methods aren’t solely tied to genetic influences but environmental ones as well. Behavioral genetics went a long way from its humble beginnings in Plato’s Protagoras (Dialogues) to modern medical and scientific publications and companies that implemented their findings and turned them into specific testing solutions (Karmagenes, for example). 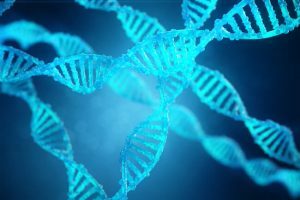 One of the breaking points was the Human Genome Project initiated in 1990 to sequence the entire human genome and create a comprehensive map of its genes. The entire project took more than 13 years to complete, providing a solid foundation for personality DNA testing. If you are wondering where behavioral genetics stands from a scientific point of view, there are currently more than 20,000 scientific papers with ample evidence to support its viability. 99.6% of the genetic code in all humans is completely identical. So, what exactly makes us unique? The answer to this question is SNPs or single nucleotide polymorphisms. They are the most common type of genetic variation among people. Each SNP is a representation of differences in a single building block of our DNA. On average, these variations occur in every 30 nucleotides, meaning the entire human genome has approximately 10 million SNPs. To put it simply, SNPs are genetic mutations determined by their exact position in a particular gene. The said position determines the amount of the specific hormone we are able to produce, thus affecting our behavior. For example, producing more or less dopamine will affect our executive cognition, reward learning, and stress handling, oxytocin will determine our social skills, empathy, bonding, and trust, and serotonin will affect our emotional behavior, stress handling, and optimism. 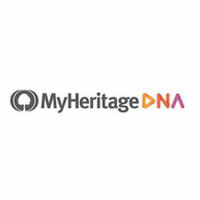 At-home DNA tests extract your DNA from your collected biological sample usually obtained through a simple mouth swab. They sequence your DNA within their processing facility and use bioinformatics to identify and analyze your SNPs. Many of the renowned companies have developed their proprietary algorithms used to link multiple genes and SNPs with different behavioral characteristics in order to compute the values and generate your final report. The companies offering this type of genetic testing usually use the 5-factor model called “OCEAN.” The acronym stands for openness, conscientiousness, extraversion, agreeableness, and neuroticism. The “Big Five” is currently the most widely used and accepted model designed to study personality, its changes over time, and relationship to other variables. A recent twins study has determined the exact percentage of genetic influence when it comes to all 5 factors and it goes as follows: agreeableness 42%, neuroticism 48%, conscientiousness 49%, extraversion 54%, and openness 57%. As we already mentioned, when it comes to exploring your personality, the reaches of psychology are quite limited and easily manipulated. DNA testing, on the other hand, allows you to take a direct look at the genes in charge of your personal traits. These results are highly reliable and accurate and don’t depend on you answering a bunch of questions or looking at pictures. As we always say, your DNA doesn’t and cannot lie and will always give you a completely accurate representation of your unique genetic makeup. The science behind personality testing is quite simple in its essence regardless of the processing technicalities. Your entire genome is inspected for genetic mutations and a unique map is created based on the final results. This map allows scientists to determine just how much of any given hormone you’re able to produce. Based on these findings, they can create an accurate profile of your personality and pinpoint the exact areas in which you’re genetically predetermined to excel. We hope this short guide provided you with a better understanding of personality DNA testing and gave you enough information to point you in the right direction and allow you to make the best decision for your specific needs and expectations.